Humans weren’t the only creatures on Earth to welcome 2017 with open arms. While we were busy pouring up the bubbly, spending time with friends and family or watching a televised countdown from the comfort of our couches, these dogs were ringing in the new year like total rock stars. So, yeah, maybe your pooch was hiding under the couch instead of gleefully jumping on top of it because loud New Year’s celebrations give some dogs noise anxiety (in which case, poor doggie) or your furry animal is all of us during the holidays and couldn’t decide whether it wanted to join in on the fun or be left to contemplate life in silent solitude. 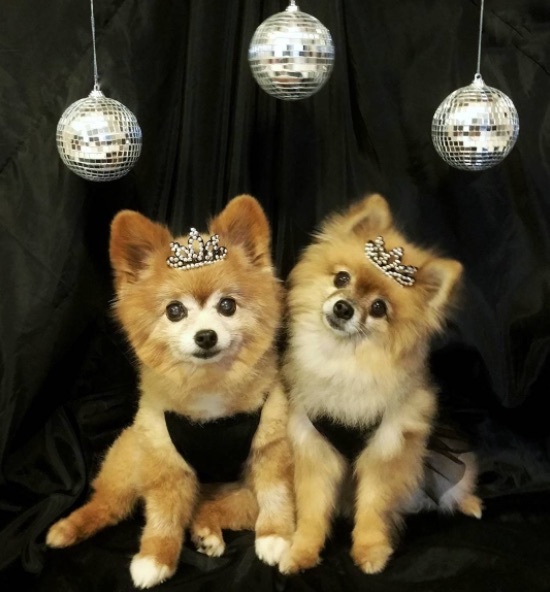 These dogs were front and center when the glittery ball dropped. TFW when a wardrobe crisis made you miss the train on NYE. Because rock stars never show up empty-handed. The after photo of when you drank too much bubbly. And had to lie down because your buzz was too strong. If you missed this dog’s party, you did NYE all wrong. Standing on sofas? Typical rock star behavior. When the DJ played Rihanna’s “Pour it Up” back to back. When the party was TOO lit. These dogs are welcome to join our party squad at any time.